Proper and effective health management has always been a sacred goal for many. From eating right, to engaging in sports, and recreation, it’s all like a big puzzle, which you’re trying to complete in order to achieve what you have set before you. 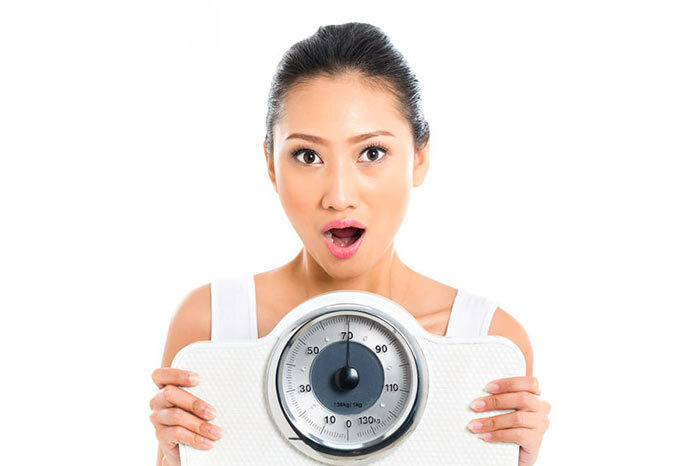 While there are underweight individuals who’re looking for the right way to gain weight, in this article we’re going to accentuate on how to lose weight the healthy way. Unfortunately, today the advanced industrialization, the vast variety of junk food, and the unwillingness of people to stay more active, makes it likely for them to gain more, or less excessive weight. Regardless of how much kilograms some people need to drop in order to reach optimal weight, many of them suddenly get obsessed with it, and think that they should accomplish their objective as fast as possible, whatever it costs. Starvation, low-calorie, low-carbohydrate, and crash diets may lead you to sooner initial results, but in the long run they may get you back to square one, plus they’ll trigger a chain of negative processes in your body. Your body possesses signaling hormones, and in this case we’re going to refer to a certain one called leptin. The fat levels of the body are straight in proportion to leptin. Your brain’s hypothalamus section is responsible for the observation of leptin levels. This hormone is responsible for the regulation of appetite, it stimulates fat burning, and modulates the metabolism. If the fat index suddenly drops, there will be a respective drop in leptin too. This process activates starvation response. Starvation response basically describes what occurs in your body in case leptin drops abruptly. By lowering your metabolism, it reduces your overall energy, thus making you feel exhausted and increasing your hunger. By having insufficient energy levels, the body begins to break down your muscles in order to generate energy. So what happens at the end? The starvation response makes sure the body retrieves the lost fat, plus some more fat to shield you from sudden, stressful food limitations. This is what we call a yo-yo effect. Moreover, extreme low-calorie diets for instance, are usually very low in important nutrients such as minerals, vitamins, and enzymes. If you don’t supply your organism with such nutrients, your immune system will eventually collapse. This makes a person more susceptible to diseases, and the flu is the least of a problem you could have to deal with. Even your nail, hair, and skin health will be in danger. Mineral deficiencies can cause serious, long term health issues too, ranging from cardiac arrhythmia, irregular heart-beat, and fluid imbalances, to loss of bone mass (making your bones more fragile), and muscle spasms. Rapid weight drop may grant you the initial results you desire, but in the long run that could cost you a lot. Doctors and nutritionists have established that strong hunger connected to eating too little food, makes it a real burden in the course of time. Severe hunger could very much make you a victim of a diet/binge cycle. Such crash diets lead many people to eating disorders like bulimia, and anorexia, which as we know, can be a major problem both physically and mentally. Diets like these could make you socially awkward and reticent. That definitely worsens the communication with friends and family, especially if they have normal eating habits. Even people suffering from obesity should avoid sudden weight drop. Losing kilograms too rapidly makes your body incapable of keeping with the pace. The skin doesn’t have the necessary time to shrink proportionally, it loses its elasticity and tissue. And eventually you may get stretch marks, discoloration, excess and loose skin. The sight is not pretty, and it would turn out that your efforts have lead you to another problem, difficult for solving. What is the recommended weight loss norm? The recommended weight loss rate usually varies between 1 and 2 pounds per week. You may think that’s too slow for your goals, but don’t be deluded, because this is way healthier, plus you have a higher chance at maintaining optimal weight in the long run. Keep in mind that 0.45kg (which equals 1 pound) of fat has 3500 calories. When you do the math, you’ll find out that in order to drop a pound from your total weight each week, you’d need to burn 500 more calories than you consume daily. Practice your favorite sport more regularly. Start a balanced diet that ensures all the nutrients the body requires, yet still facilitates weight loss. Attain what you want, but do it the smart and healthy way!